Police agencies keep a tight lid on the facts surrounding police disciplinary charges and typically won't even confirm or deny that charges have been filed. But, when a cop decides to appeal the discipline imposed, an OPRA request can sometimes dislodge the appeal paperwork. Such is the case regarding the appeals of Troopers Kenneth Franco and Georgina Sirakides, both of whom are charged with giving news journalists photographs taken in 2009 of five Troopers celebrating a Camden drug bust by waiving a Puerto Rican flag. Those photographs and celebration have received extensive publicity including articles in the Star Ledger and MyCentralJersey, as well as a spot on Fox News 29. Earlier today, in response to my OPRA request, the New Jersey Office of Administrative Law sent me the appeal paperwork on Files 07412-15 (Sirakides) and 07406-15 (Franco). 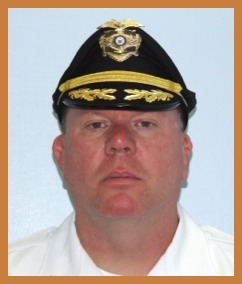 Both officers are being represented by David J. Azotea of Atlantic City. According to the specifications, Franco and Sirakides worked with "former Division member Victor Cooper" to inform journalists about Trooper Kenneth Sirakides, who is apparently Georgina Sirakides' estranged husband, being involved in a "Velocity Sports Performance Internet video" and for waiving the Puerto Rican flag in the drug bust photos. On Tuesday, February 23, 2016, the Bergen County NAACP will host a public forum to discuss proposed legislation that seeks to prevent public access to all police camera recordings and 911 calls. The forum, which is open to all, will begin at 7 p.m. at the Teaneck High School Media Center at 100 Elizabeth Avenue. I wrote the following letter today to the Mayor and governing body of Haddon Township in Camden County. Would you please add to tonight's Caucus Meeting agenda a discussion of Haddon Police Officer Jason Dement's compliance with the Education Requirement Policy contained within Police Department General Order 95-3. G.O. 95-3, which I obtained on February 1, 2016 by way of an Open Public Records Act (OPRA) request, requires all Township police officers to "have earned the minimum of a Baccalaureate Degree from an accredited college or university, having maintained a 2.0 minimum grade point average." In a recent letter (Suburban Trends Jan. 31), it was suggested that the idea of self-ownership or individual sovereignty over one’s person is somehow a "flawed" belief. The writer was arguing from a theological standpoint based on her faith. My question to her would be, how do you intend to implement your beliefs without using the power of the state to impose your faith and values on people who don’t necessarily agree with your beliefs? I have long argued that religious "social conservatives" have a hostility to the ideals of individual liberty that is just as authoritarian as the anti-liberty beliefs of the "liberal progressive secular humanist" types who want to micromanage your life for you. Despite the seeming hostility between these two groups, they have much in common. Introducing the Liberty Cafe Podcast! For past episodes visit the Liberty Cafe website. 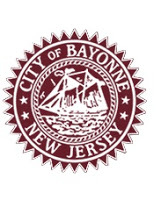 On Friday, March 4, 2016 at 9 a.m. Hudson County Superior Court Judge Joseph A. Turula will hear my Open Public Records Act (OPRA) case against the City of Bayonne. See, Paff v. City of Bayonne et al, Docket No. HUD-L-5203-15. This is the lawsuit discussed in Jonathan Lin's January 27, 2016 Jersey Journal article and I am being represented by CJ Griffin of Hackensack. I maintain a blog called NJ Civil Settlements which, as its name implies, reports on settlements of lawsuits against government agencies and officials. Learning whether, when and how these lawsuits have concluded is sometimes difficult, especially since many of the settlement agreements contain confidentiality clauses that prevent the parties from revealing the amount of settlement or even the existence of a settlement agreement. The NJ Libertarian Party Police Accountability Project and the New Jersey Foundation for Open Government have submitted a joint Amici Curiae (Friends of the Court) Brief to the New Jersey Supreme Court concerning a lawsuit between the North Jersey Media Group and the Township of Lyndhurst. In January 2015, the North Jersey Media Group was granted access to records of a police shooting where an unarmed man was shot and killed by police during a high speed chase. Several police agencies were ordered to turn over these records by a Superior Court Assignment Judge. In your December 9, "Our View" editorial ("Our Take On Guns"), you state that you desire a discussion and debate on what the Second Amendment means. I'm going to surprise you and your readers by saying the Second Amendment does not give you the right to own a firearm; in fact the entire Bill of Rights gives no rights whatsoever! If there was no Constitution and Bill of Rights, you would still have all the rights you possess by virtue of the fact that you exist as an individual human being. Our individual liberties come from our humanity, as so eloquently stated by Judge Andrew Napolitano. The Constitution and the Bill of Rights only guarantee and protect those rights from government infringement; the don't grant them. I would say the letter writer is hiding his own bigotry towards the concepts of individual freedom of choice and the right of freedom of association. 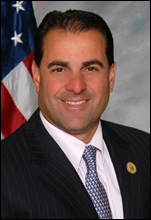 In early 2013, I filed an ethics grievance against two attorneys in a well regarded Essex County law firm. My grievance has been lost once, transferred twice and, most recently, "administratively dismissed" because there is allegedly some unidentified "pending litigation" that prevents the merits of my grievance from being considered. I decided to publicly write to the Director of New Jersey's Office of Attorney Ethics about my experience and share with him why many grievants are frustrated by the attorney disciplinary process. I want to share with you (and the public) my experience being a complainant in an attorney ethics grievance bearing docket numbers IIA-2015-0010E and IIA-2015-0011E. I have redacted the attorneys' names from all of the documents at the links below and have published this letter to you on my Random notes on NJ government blog. On October 7, 2015, the City of Pleasantville (Atlantic County) agreed to pay $50,000 to a local man who said that a police canine was ordered to attack him and other officers beat him after he was already handcuffed and face down on the ground. In his suit, Jalal Whitted, who suffers from a pre-existing psychiatric condition, said that police were called to his home on December 6, 2013 because he had a knife in his possession. After his mother convinced Whitted to drop the knife, he and his mother stumbled and fell to the sidewalk in front of their home. Whitted said that while he was on the ground, police handcuffed him. 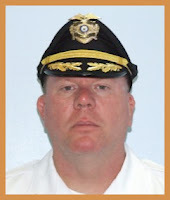 On October 30, 2015, the Township of Weehawken (Hudson County) agreed to pay $747,000 to a Township Police lieutenant to settle his two lawsuits, two disciplinary actions and to provide for the lieutenant's retirement. In his federal suit filed in 2008, Richard DeCosmis claimed that Mayor Richard F. Turner led a campaign of retaliation against him because he publicly criticized Weehawken's alleged misuse of state funds intended for a Park and Ride to develop a parking lot "to benefit a private building developer and political contributor to Mayor Turner and his allies." DeCosmis claimed that the alleged retaliation was also sparked by his refusal to allow Union City Mayor Brian Stack's campaign signs on his property, because of his support of "another political candidate running against Mayor Turner's political faction," and because DeCosmis filed a 2007 civil rights lawsuit against Turner "because [of] his unlawful interference with the day-to-day interference with the Weehawken Police Department and public corruption." On November 2, 2015, the Township of Winslow (Camden County) agreed to pay $2,500 to a local man who sued police for wrongfully detaining him. In his suit, James E. Tice claimed that on May 7, 2013, Winslow Patrolman Michael Gibson took his cell phone and frisked him without probable cause. When Tice asked Gibson why he was being detained, Gibson allegedly arrested him for disorderly conduct and released him an hour later without charging him. Tice, who represented himself in the lawsuit, claimed that Gibson violated his Fourth Amendment rights "as there was no probable cause tostop, detain, search or arrest plaintiff for being on a street in a town where he resides." Tice claimed that he filed an Internal Affairs complaint against Gibson and that his complaint was sustained and resulted in Gibson being discplined. The case is captioned Tice v. Township of Winslow et al, Federal Case No. 1:13-cv-06894 and Tice represented himself. 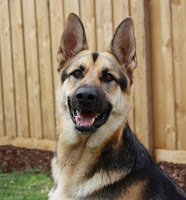 Case documents are on-line here. The settlement agreement contains a confidentiality clause, which prevents the parties to the suit from publicly disclosing the settlement terms. Fortunately, however, these confidentiality clauses do not trump the public's right to obtain copies of settlement agreements that arise out of lawsuits in which a government agency or official is a defendant. None of Tice's allegations have been proven or disproven in court. The settlement agreement resolution expressly states that the $2,500 payment does not constitute an admission of wrongdoing by Winslow or any of its officials. All that is known for sure is that Winslow or its insurer, for whatever reason, decided that it would rather pay Tice $2,500 than take the matter to trial. Perhaps the defendants' decision to settle was done to save further legal expense and the costs of trying what were in fact exaggerated or meritless claims. Or, perhaps the claims were true and the defendants wanted to avoid being embarrassed at trial. This is the problem when cases settle before trial--it is impossible to know the truth of what really happened. On Tuesday, December 8, 2015 at 10:30 a.m. Mercer County Assignment Judge Mary C. Jacobson will hear oral argument in the case of John Paff v. New Jersey State Police, et al, Docket No. MER-L- 1984-15. 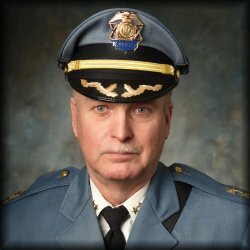 At issue are two State Police investigation reports pertaining to allegations that Cape May County Sheriff Gary G. Schaffer was involved in misconduct or impropriety while he worked at the Cape May Police Training Academy and the Ocean City Aquatic Center. The State Police have admitted that it possesses two investigation reports into Schaffer's alleged misconduct but refused to release them because they are "exempt from access as criminal investigative records." My lawyer, CJ Griffin of Hackensack, argues that under the common law right of access citizens have a great need to see the records so they can assure themselves that the allegations were fairly investigated and not just swept under the rug. A lawsuit filed today in Mercer County Superior Court seeks the identities and other information regarding officers from the State Police and Mercer Sheriff's Department who fired fifteen shots at Radazz Hearns, now 15, on August 7, 2015. Seven of the shots struck Hearns, causing him to be hospitalized for a week. Despite public outcry and controversy over whether Hearns actually possessed a gun at the time he was shot, law enforcement officials have refused to identify the police officers who fired the shots. On October 15, 2015, both Isaac Isaac Avilucea of the Trentonian and Keith Brown of NJ Advance Media published articles claiming that their investigations found that Doug Muraglia and James Udijohn were the officers who shot Hearns. When asked to confirm the information in Brown's article, Deputy Attorney General Ryan C. Atkinson refused to do so and claimed that any lawsuit filed to obtain the officers' names would be frivolous. The lawsuit is captioned John Paff v. Office of the Attorney General, et al., was filed by C.J. Griffin of Hackensack-based law firm Pashman Stein. A former Camden detective, who was fired after he assaulted a 15 year old in 2005, had his termination upheld by an appellate court on Tuesday. Detective Lawrence Norman and fellow Officer George Ingram beat the teen, who was only identified as “A.F.” due to his age, after he was arrested in a drug sting. On Oct. 19, 2005, officers were conducting an investigation into drug sales that involved dealers selling to undercover police. A.F. allegedly sold heroin to an officer and Ingram and Norman tracked him down to the inside of a house, where he was found hiding in a closet. The 790 foot cargo ship, El Faro, was lost at sea during Hurricane Joaquin. The search operation was ended earlier this week. The search for survivors from El Faro has been called off, the crew consigned to the depths. We are left to mourn the loss of 33 brave mariners, 28 of whom were American. But as we mourn, we should also be angered, because their deaths may very well have been avoidable. Hurricane Joaquin wasn’t the sole culprit; it had an accomplice, and that accomplice is a monstrous piece of legislation known as the Jones Act. Between the lines of this disaster, something should jump out at the reader: What were those sailors, in the middle of a Category 4 hurricane, doing onboard a vessel dating back to the Ford administration? In an era where we replace our phones every two years and trade in our car leases in not much longer than that, why is it that these people were stranded in the middle of a maelstrom aboard what El Faro seaman Chris Cash called a “rust bucket”?